Verizon has announced that its quarterly dividend will increase to 60.25 cents a share, a 2.1% increase. This will be the 12th straight year that Verizon has hiked its dividend. 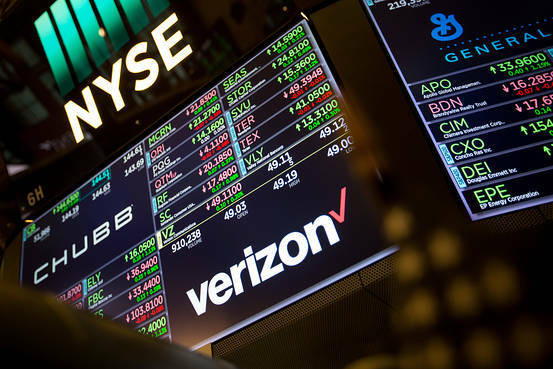 One year ago, Verizon’s board declared a quarterly dividend disbursement of 59 cents per share, which was an increase of 2.2% from the previous amount. The wireless provider boasts a stock with an attractive yield of 4.3% and has returned 21.4% over the past year. Last year, the company paid out almost two-thirds of its earnings in the form of dividends -$2.34 per share against earnings of $3.74. Despite significant capital expenditures, Verizon’s strong cash flow has managed to support the dividend. The second-quarter operating cash flow was up $1.9 billion year over year with a total of $9.8 billion. The quarterly dividend will be payable November 1, 2018, to the shareholders of record on October 10, 2018, at the close of business.